Brooke has managed to live her life taking care of others. When her mother died she took care of her two younger sisters. After college she returned to Trillium Bay as a teacher and now she has taken on the job of Trillium Bay’s youngest mayor. But life seems to be passing her by and while everyone around her is finding love and starting families she’s still alone. Leo is the new bartender in town and there are immediate sparks but Brooke knows that Trillium Bay isn’t for everyone and Leo will most likely move on when the tourists leave. She wants her forever and Leo most definitely isn’t the settling down sort of man. 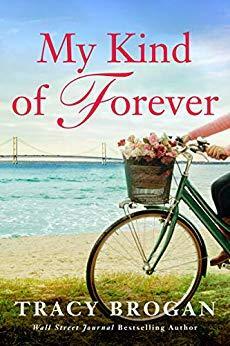 My Kind of Forever is old school contemporary romance. It’s a comfortable, easy and enjoyable read.